Eating a healthy breakfast does a number of positive things for you physically. For instance, it gives your body the perfect dose of energy that it needs to make it through your busy morning. It has also been linked to enhanced weight control. Up to 90 percent of people who have been able to maintain weight loss for more than year indicating that they eat this important meal at least five of the seven days per week. However, the key to making breakfasts work for you is to choose food options that supply a decent amount of nutrients while tasting amazing. What are some to consider? 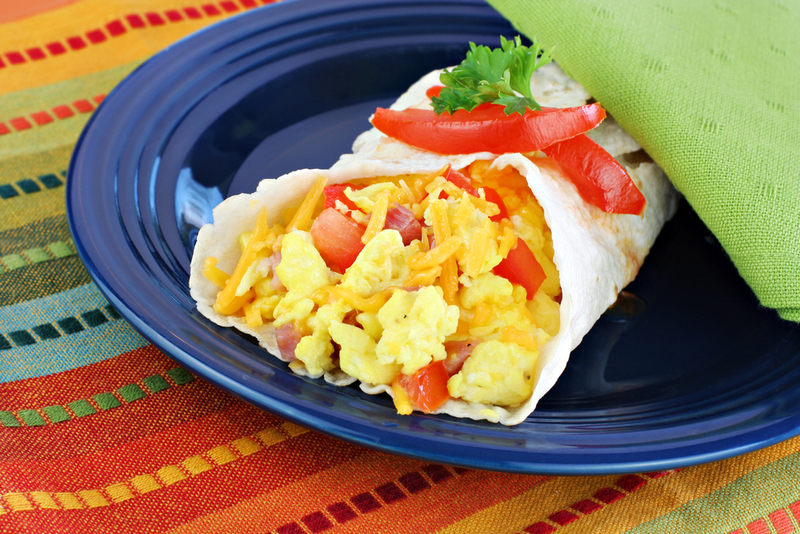 If you have a little bit of time on your hands, a breakfast burrito is a great way to get some nutritious foods in your system and satisfy your hunger at the same time. Don’t be afraid to load it up with veggies either. Peppers, avocado, tomatoes, and any others you want to add will boost the flavor while keeping it healthy. Another option, and one that is slightly more filling, is whole-wheat apple pancakes. By adding wheat flour, you’re consuming healthier carbs. The apples are good for you too as they are loaded with disease-fighting antioxidants and fiber, which is good for your digestive tract, lowers your risk of type 2 diabetes, and even has the potential of reducing your cholesterol levels. If you don’t have a lot of time to make a meal, a nutrient-packed breakfast to consider is a simple green smoothie. Some ingredients that are great in green smoothies include kale, spinach, and parsley. Of course, you can always add other non-green foods as well, such as different fruits, flax seed, and other nutritious ingredients that you’ve grown to love. Juicing is yet another alternative and one that a lot of people find enables them to start their day with a lot of energy without giving them a full stomach that can weigh them down. How is juicing different than smoothies? The main difference between the two is that juicing removes a large amount of the fiber. It’s still good for you, though, as many people have experienced improved health via juicing. Jil Larsen is one of them. She was able to reverse her skin disorder after just six months of eating healthier foods and juicing. Buy nutritious breakfast foods that you not only enjoy eating, but that you also don’t mind making, so you aren’t tempted to walk out the door without them. Have a number of healthy food options on hand so you don’t get bored eating the same breakfasts over and over again. Keep your fridge and pantry stocked so you can’t skip breakfast due to the excuse that there’s nothing to eat. 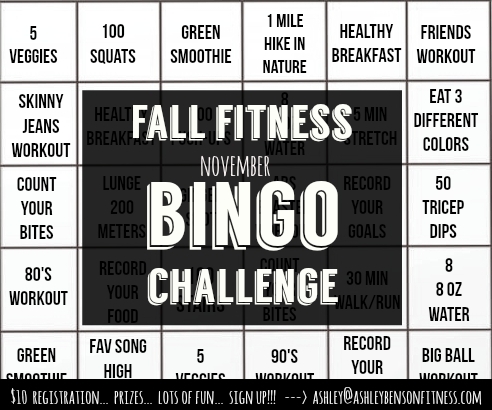 As a bonus, if you follow these suggestions, you’ll be able to cross many squares off the Fall Fitness November Bingo Challenge. Now that’s something worth celebrating! Click HERE for more details about the NOVEMBER BINGO CHALLENGE and sign up HERE! Thank you Sara for encouraging us in these healthy ways! Follow Sara now on Twitter —» here «— for more on healthy lifestyles!! This entry was posted in 24 Day Challenge and tagged 24 Day Challenge, Ashley Benson, breakfast, fall, foodnetwork, guest blogger, Jil Larsen, recipes, smoothies on October 29, 2015 by admin.